As we know Azure Data Factory (ADF) Version 2 now has the ability to use expressions, parameters and system variables in various components throughout the service. This is brilliant and the best thing about v2 allowing us to build some very dynamic parameter driven pipelines. However, the syntax isn’t always that obvious when you use the expression builder and when trying to include dynamic bits of JSON within some existing JSON string. Microsoft calls this feature string interpolation in the documents page linked below. To explore this further, in this post is one such example of a few problems you may face when adding ADF system variables and pipeline parameters into the body of a REST API call. 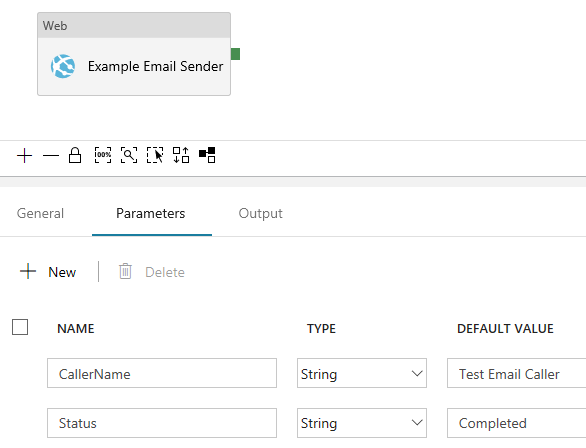 The emailer pipeline contains only a single ‘Web’ activity with pipeline parameters for the caller and reported status. The parameters are passed to the API body and used in the email body. 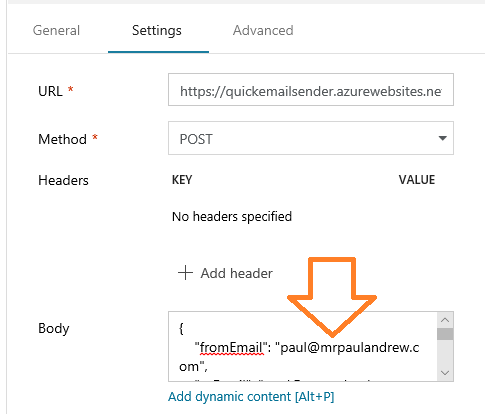 The ‘Web’ activity hits a simple Azure Function to perform the email sending via my Office 365 SMTP service. The C# I used for the function can be downloaded from here. Next, we create a parent pipeline, like the below. 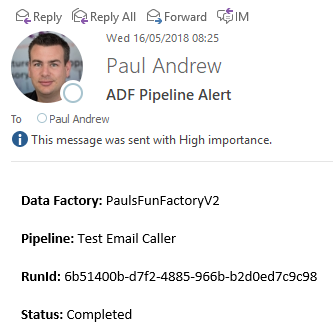 Here we have a ‘Lookup’ activity and a ‘ForEach’ activity performing a ‘Copy’ with success or fail conditions to the child email alert pipeline. If you create the required JSON for the web activity body in an external tool (eg. VS Code) and copy it directly into the ADFv2 field this will fail. For whatever reason at run time this isn’t treated as dynamic content, even though the syntax is correct. My advice, create your required JSON body in an external tool with the correct syntax for the dynamic parts. Then copy and paste it into the expression builder window. Currently if you do anything other than these exact steps you’ll probably get syntax errors in the JSON. For extra flavour in my final email alert I also added some HTML tags to make the email received a little nicer. My final REST API Body below. Apologies for the code block as a picture, I couldn’t stop my blog rendering the HTML tags within the message value. If you have any idea of this issue I’m having, I would greatly appreciate any advice! I want to create an activity which will sent mail on status of azure data factory pipeline. In this if any activity failed then mail must trigger and if nothing failed then send success mail.